Looking for that beer that you grab out of your fridge in the garage after doing some yard work? Or a brew to grab and then sit in your lawn chair and listen to a ball game on the radio? Or just a nice, crisp, refreshing Iowa brewed beer that hits the spot in any situation? 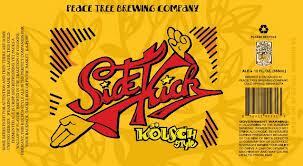 Well, look no further than Peace Tree Brewing’s Sidekick Kolsch (www.peacetreebrewing.com). 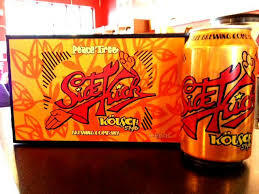 When drinking a Kolsch style brew you should be light fruit flavor, minimal hop presence, slight bitter and dry finish to the beer, and Sidekick does is a very strong representation of this style. This beer is brewed with pale malted barley giving the appearance of a golden pilsner style lager. It is actually brewed with a top fermenting ale yeast at cooler temperatures of a lager, giving a unique and refreshing character. This style is commonly filtered, we prefer to leave this beer unfiltered like a Kellerbier. Kolsch is actually a beer brewed in Cologne, Germany which is why we use the word “style”. After mowing the lawn this beer didn’t stand a chance. Easy to drink, refreshing, and not just a mass-produced, flavorless beer. This beer has a great refreshing quality to it making it a mainstay in my beer fridge in the garage. Well done Peace Tree! Pour: Light yellow pour, drank from the can. Aroma: Grassy, malt, and some fruit on the nose. Flavor: Nice malty flavor, crisp and refreshing, maybe a tad bit of hops to round it out. My recommendation: A really strong choice for a sessionable summer beer. Support Iowa craft beer and try a six pack! Old Chicago Restaurants Re-branding; more Iowa brews to be featured? This and 8-BIT were my official 2013 Beers of Summer. Excellent brews.